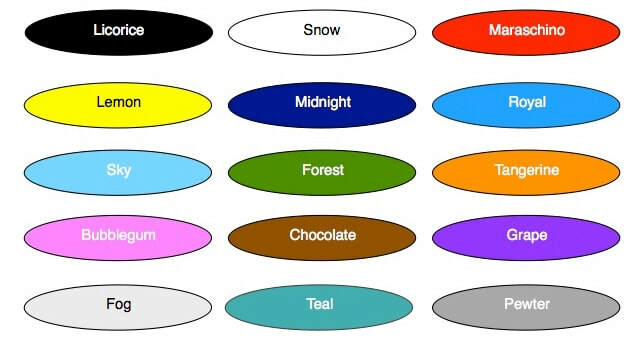 As with all color chips, colors may appear different on this chart than they do on your canoe. 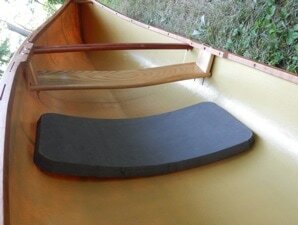 The canoe shown above is “natural” (no pigment) kevlar -- kevlar fabric has a honey gold appearance. But also be aware that kevlar fabric without a color pigment is much more subject to UV damage. Hybrid and Carbon fiber are fine without a pigment. A note about colors: Natural Carbon color is Black. Natural hybrid is the green/black weave. If you choose to add color to either of these laminates, it will add 3-4 pounds; so we don't recommend it. We have done some somewhat unscientific research, and have discovered first hand even, that this Hybrid weave actually attracts fish! They literally follow you around, jump up out of the water, make all kinds of swirling movements around you. We have watched them follow a boat with this laminate while they ignore the colored one next to it. This is no claim to make your fishing better, but we've 'seen some things' that certainly make us wonder! Several layers of kevlar and or carbon are laminated into the hull at both stems, ends and under the seat area on the INSIDE, for extra protecting. 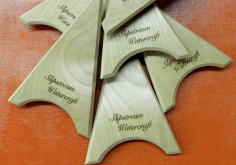 Slipstream uses the highest quality epoxy vinylester resins and pigments with superior UV inhibitors. It is still a good practice to store your canoe under cover to minimize UV damage. Regular waxing will minimize scratching (and tend to cover scratches that already exist). Wax also adds additional UV protection and will keep your boat looking new. Up to 5 lines stacked vertically. Native cherry or ash are available as standard options. Other species are available at an additional charge of $50. ​Spaces between the gunnels are reminiscent of traditional wood rib canoes. While wood ribs are no longer part of modern composite technology, scuppers are very attractive. Scuppers also serve the purpose of allowing water to be more easily emptied from the canoe, and they further stiffen the gunnel line. There is just something authentic about this option that draws us in. Please note that the wood deck plate covers the front section, so you will not receive what appears to be gunnels 'tied together' via leather. These now automatically come with Hybrids. The hung style canoe seat is very popular in the Impulse 13 -- available in cane or webbing. Options on this style seat include the typical straight seat with an adequate seating area. Also available, as shown, with a much wider seat and contoured for additional comfort. 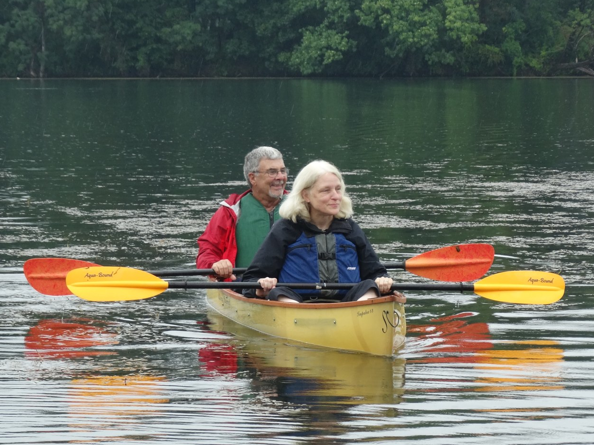 The wider seat becomes more important if using a single blade canoe paddle -- it enables getting closer to the gunnel and water for more efficient and comfortable paddle strokes. Remember that hung seats add 4 - 5 pounds. * Note: We do not recommend the hung seat option with the Wee Lassie or the Sport Duo. Especially popular in a traditional setup, but functional in all models. 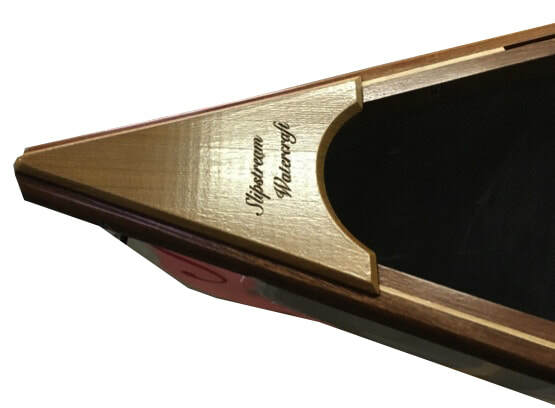 --The Impulse 13 is designed as a solo canoe - paddle it with a canoe or kayak paddle. 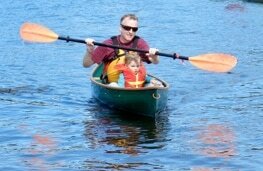 --The Sportduo 13 is designed as a tandem - paddle it with canoe or kayak paddles. Add the “Cross-over Option” to enable the Impulse 13 to be paddled tandem or the Sportduo 13 to be paddle solo. ​Cost depends on seat selection. Proper trim is essential to optimal performance. Many boats have fixed seats which force paddlers to add rocks in order to compensate for pets, gear or kids as passengers. Not so with Slipstream Watercraft. 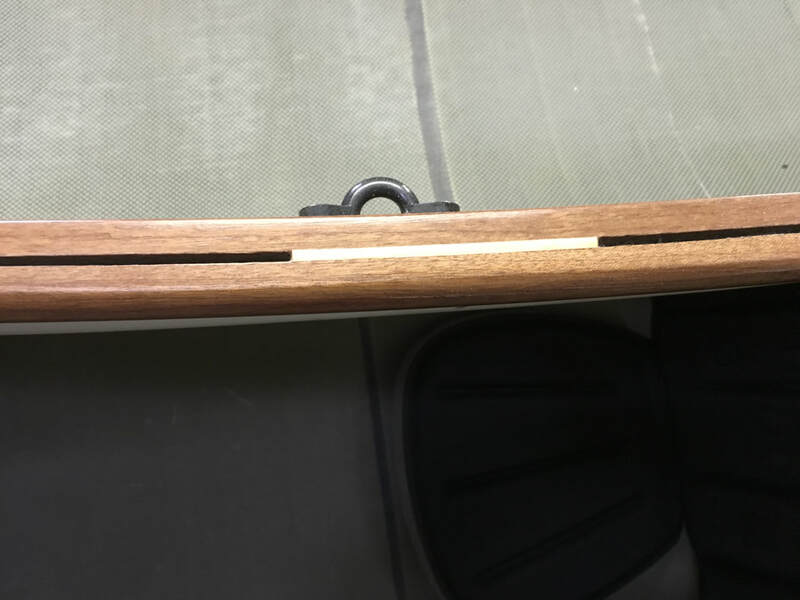 If you provide the approximate weight and preferred location in the boat for your “passenger”, we’ll optimize your seating placement and/or make it adjustable to insure proper trim/performance. Further seat location is easy to change any time you wish, by simply adjusting straps. It is up to you to provide for your passenger's safety. 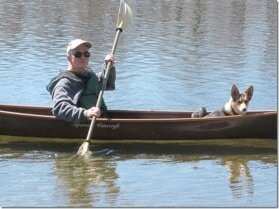 Correct PFD's are manufactured for adults, children, and dogs as well. These are super important to ensure great paddling experiences for all, year after year. Incidentally, often dogs like a dry, non slip surface. They feel very unsure of the paddling experience when they can't get traction on the floor. They also appreciate a dry place to lie down. Plan ahead. 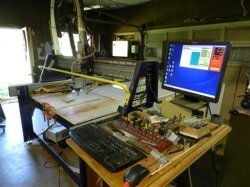 This laminate is unique in our industry. The outer skin is a 2x2 twill weave that appears to be green, yet is really the natural color of the Kevlar and Carbon fibers. 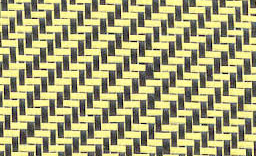 Subsequent layers are a plain weave hybrid with each layer being oriented in a different direction to achieve maximum strength to weight ratio. It is light, stiff, and strong.... and seems to attract fish! Light and stiff but even more impact and abrasion resistant.